If you would like to add a message along with your order, (e.g. : I would like information about your TRAX system.) you may do so below. 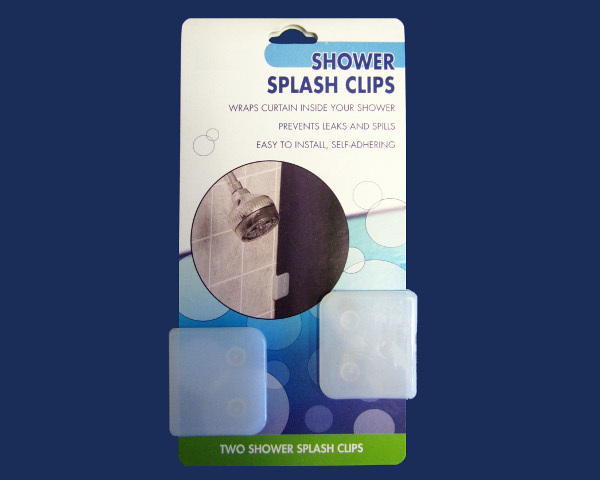 This is a set of 2 frosted translucent plastic, self-adhering U-shaped shower curtain clips. 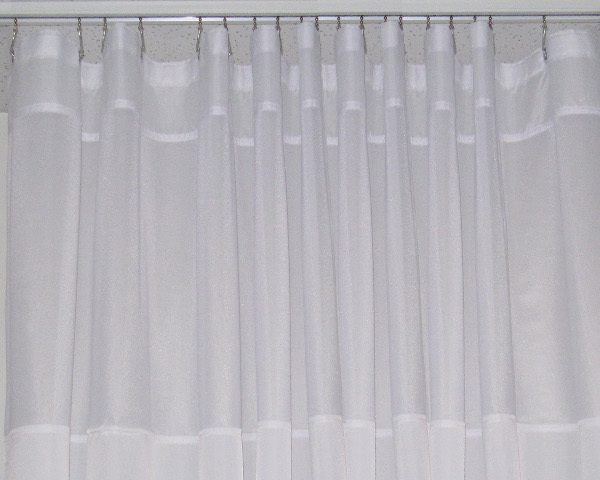 The curtain edge slides into the clip to tightly hold the shower curtain to your shower walls, preventing leaks and spills. The clips are easy to install by removing the paper backing from the adhesive pad and pressing it firmly against the shower wall.